Manchester United was not capable to defeat Sevilla, he said. Clocking back to last year, the game against Sevilla was a horrible one to digest. Manchester United lost to Sevilla at the Old Trafford. Sadly, what followed was a bit traumatic. 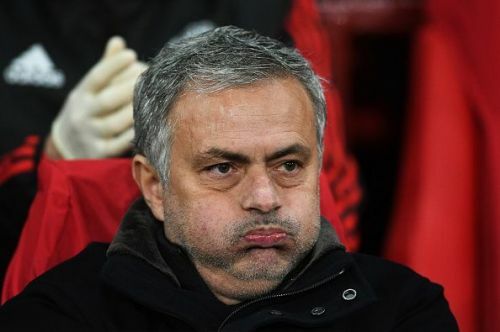 In the post-match press conference, Jose Mourinho indoctrinated everyone that the Manchester United players were incompetent to play a match as big as the knockouts of the UEFA Champions League. Reflecting on his side's humiliating exit, the Portuguese could not help but reference those triumphs in his post-match press conference. That is not the end of the world. I sit in this chair twice in the Champions League and I knock Man United out at home at Old Trafford, I sit in this chair with Porto, Man United out, I sit in this chair with Real Madrid, Man United out. So, this is not something new for the club and of course, being Manchester United manager and losing a Champions League tie at home is a disappointment, obviously. At that point, he somehow managed to manipulate everyone. Fast-tracking to 13th February 2019, the defeat against Paris Saint Germain in the first-leg proved why he said that. The team was beaten mentally, tactically and physically. This further emphasizes the fact that the team is yet to reach a level in order to beat the elite teams of Europe. Plus a two-goal deficit, an image-shattering defeat and to add insult to injury, Paul Pogba’s red card was sufficient to convince everyone that the slope is steep and the mountain is hard to climb. Suddenly, an eleven match undefeated run looked like a ‘honeymoon period’ just got over. Amid all this, there was someone who was just not ready to give up on a team whose injured list can itself make a lucrative starting eleven! Still, he never complained, unlike others and he infused that believe is a very big thing in this small insecure world. He tried to put his best man forward going into every game and that man is Ole Gunnar Solskjaer. “Mountains are meant to be climbed, don’t they?” , he said; this optimistic reply just indicated what was going to come. Travelling away from home, going to Paris, playing against the mighty PSG and that too in Parc de Princes is never easy. Ask Barcelona for instance. It is not easy but is it impossible? To the astonishment of everyone, the hamstrung Manchester United clawed the Princes of France in their faces. Some due to luck and some due to the controversial VAR interference- Somehow they did just enough to tell everyone that they should not be written off. This is the classic Manchester United comeback! Rewinding things to the dark December, all this seemed to be a delusion. The team was not even counted as a contender for anything. Jose Mourinho was ranting how the board didn’t back him and the players he has did not respect him. The pundits were darting their arrows of what is wrong and the club was in disarray. However, the bright sunny day comes after the darkest night, isn’t it? And the sun rose to its might when a smiling Norwegian came to perform his rites which he has already done as a manager. He killed the negativity. Yes, he did and converted the mission impossible into possible. Solskjaer could have bombasted about the absence of the first team players instead he relished the chance to bring the youngsters into the frame and was bullish, saying everything one would expect of a Manchester United manager. Everyone expects us to go out and easily, but that doesn't happen with Man United. It's never mission impossible, it's more difficult, but we have got to get the first goal and then anything can happen. As a club, we've done it so many times. If anyone knew what was possible, the scorer of United's winning goal in the 1998-99 Champions League final did. Football heritage, anyone? 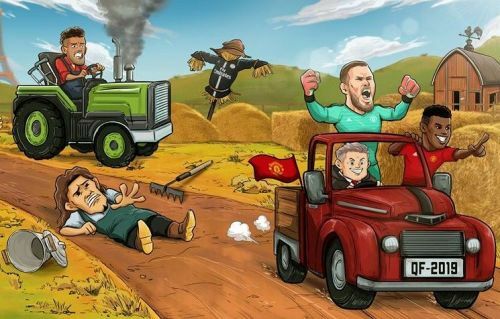 Ole's at the wheel, tell me how good does it feel! United arrived in Paris on Tuesday with academy kids in tow and – seemingly – all the belief in the world. Again the question here is- why such a belief? Why are the players enjoying even when they are down-and-out? Why is Manchester United is again producing what they have done in the past? Why are the teams fearing the might of this team again? Why? There are many factors for these questions and as a consequence of this is Ole Gunnar Solskjaer himself. What a change he has infused in this team! This team is beginning to become the true Red Devils. Despite the fact that he does not have the managerial experience as that of Jose Mourinho or Pep Guardiola or Massimo Allegri; what he has is the man-management. This quality itself has helped the team and the players. The players don’t feel inferior while sitting on the bench as it was the case during the Mourinho-era. Take Eric Bailly's example. After half an hour at PSG, Romelu Lukaku had pounced on two errors to give United a 2-1 lead, but it felt like a matter of time before the home side would get another, and Bailly looked particularly vulnerable. He had already played Mbappe onside before being beaten to his cross by Juan Bernat for PSG's goal, and Angel Di Maria was causing him sort of problems on United's right. Solskjaer recognised his error in playing Bailly out of position at right-back and didn't hang around in attempting to fix it by bringing on Diogo Dalot. What is so refreshing about Solskjaer is that he will show faith in Bailly, and the Ivorian will be back in the team - in his favoured position in central defence - before long. And this in itself is bracing the players to do more. Promoting graduates also indicates a lot of trusts shown in the budding players. 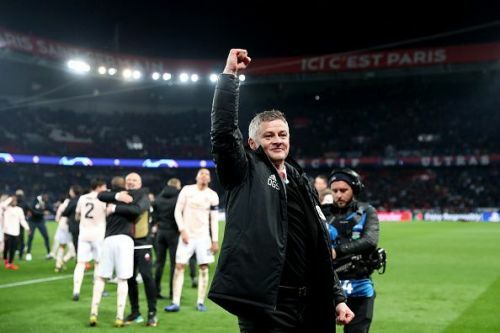 It seems like pretty much the biggest open goal there is for a manager hoping to win over the fans to put faith in young players, and Solskjaer has not been scared to do just that. The injury crisis forced his hand somewhat in Paris, with Andreas Pereira and Scott McTominay starting the game, but he didn't have to bring on Chong and Mason Greenwood when a goal was needed in the final few minutes. 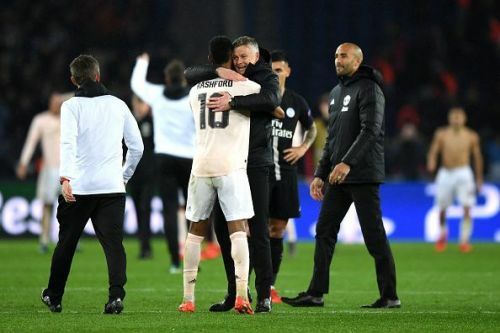 Even the fact that the attack has been based around local boy Marcus Rashford has helped Solskjaer's cause. Promoting youngster is key to success and he understands that. United is once again a dynamic, exciting team, and the decision to give the younger players more responsibility has played a big part in that. Early in the second half, as attack after attack rained down on the United goal, Solskjaer recognised the need to weather the storm rather than push for a third goal. While Lukaku was down receiving the treatment he told his players to switch to a 5-4-1 which they did immediately. With 10 minutes remaining, he introduced the fresh legs of Tahiti Chong and instructed the team to push for the goal they needed. It's also amazing to see what a solid team set-up can do for a central defender. Under Mourinho, every single centre-back at Old Trafford was considered dispensable, and the manager was desperate to splash out on a shiny, expensive new defender. Solskjaer has insisted on playing two holding midfielders to give a shaky defence added protection, and in doing so, he has enhanced the reputations of the defenders like Chris Smalling (who looked like a world beater at the Parc des Princes), Victor Lindelof and Phil Jones. He is also clearly keen to help Eric Bailly get back to his best rather than just chucking him into the reserves. Suddenly United don't need to spend £80m on Harry Maguire this summer, which Ed Woodward would probably be fairly happy about. This is something which the past managers have not done. Be it their expertise or be it their ignorance, they have not done what the Norwegian is doing. 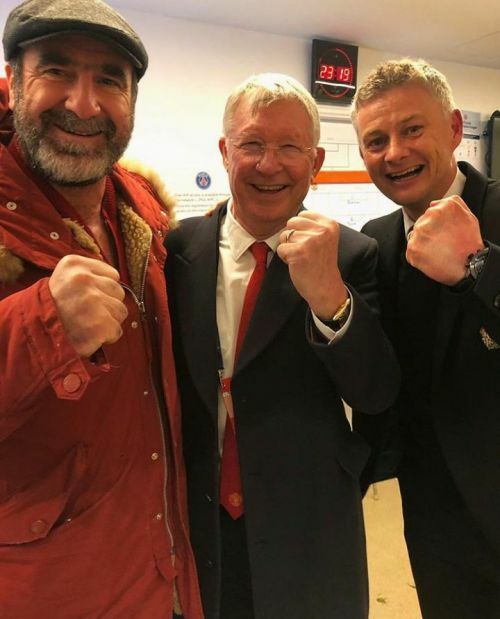 Eric Cantona says that Ole Gunnar Solskjaer is the spiritual son of Sir Alex Ferguson and the gestures are proving that. When he stepped in England, the first thing he did was to contact the Scott. Sir Alex Ferguson has been taking an active role in Manchester United's first team affairs since the interim appointment of Ole Gunnar Solskjaer, guiding the Norwegian through his first month in the job. Moreover, he has offered assistance to Solskjaer on team selections and player analysis. The King of Manchester feels that the assassin is the spiritual son of Sir Alex. The Norwegian, who spent 11 seasons under Ferguson as a player between 1996 and 2007, has regularly used the advice of his mentor since he was appointed interim manager following Jose Mourinho's departure in December. Ferguson was invited to give United's current stars a team talk before their 0-0 draw against Liverpool. The baby-faced assassin has also consulted the legendary manager over his team selection in his bid to bring back the glory days to Old Trafford. It is all about looking what is next for the team and now, the focus shifts to Arsenal. The trip to the Emirates is not easy nor it is difficult! Going by the recent forms then surely Manchester United is a team to look for but no one can write Arsenal away that too in its home. Yes, Arsenal is morally down with the defeat in France yet Unai Emery has the astuteness to punch things above its weight. However, if one is to see the head-to-head stats of these two teams then in the last few outings, United has enjoyed more success overall as well as at the Emirates and with Solskjaer as the man-in-charge and with his enviable away record so far, the fireworks in favour of Manchester United are bound to happen. Furthermore, Tottenham Spurs defeat to Southampton gives United the pole position to ignite the race for the third spot; thus allowing the team to pull three points clear of Arsenal. Nonetheless, one cannot ignore the elephant in the room. Yes, the extension of Ole Gunnar Solskjaer. Literally, no one thought that he could bring so much change to this team that too within the space of two months! Through to the quarterfinals of the Champions League, alive in the race for top four, in the hunt for the FA Cup and still, the decision over his future awaits for this man. Romelu Lukaku and Luke Shaw are sure that Solskjaer is going to get the job, fans are backing him to get the job, legends back him too, we want him to get the permanent role and his Molde’s contract expiring is just like a cherry on the cake; anyhow the thing is- will he get a new contract is something that only Ed Woodward can answer.